LeRoy Liss, 95, beloved husband of Leah nee Meisel for 69 years; loving father of Debbie (Earl) Sternfeld, Judy (Norm) Mindel and Gary Liss; devoted Grandpa LeRoy of Scott (Tamar) Sternfeld, Shoshana (Moshe) Marshak, Rachel (Ben) Sevcik, Ariel (Luke) Friese, Talia (Noel) Kite and Zach Mindel; adored great grandfather of 12; dear brother of Stuart (Joan) Liss. LeRoy was a professional photographer since 1949. He enjoyed bowling, fishing and travel. He was also a proud Navy veteran of World War II. Chapel service, Friday 10 AM at Shalom Memorial Funeral Home, 1700 W. Rand Road, Arlington Heights. Interment Shalom Memorial Park. 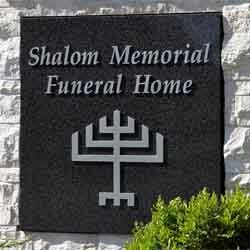 In lieu of flowers, memorials may be made to the charity of your choice. For information or to leave condolences (847) 255-3520 or www.shalom2.com. I have many fond memories of Leroy. He and Leah have been proud supporters of our Bowling team, and until he had a hard time attending, came to support my dear friend, son Gary, and my husband's team every Tues for many, many years. Also, I really enjoyed all the impromptu dinners with the Liss family on a regular basis for several years. He was a wonderful man with a great sense of humor and smile, who always tried to help my husband Tripp improve his bowling skills by giving regular pointers. I am glad to have known such a wonderful man who brightened my day every time our paths crossed. My love, thoughts and prayers go out to Leah, Gary and the entire Liss family! May God remember the soul of LeRoy Liss who has passed to eternal rest. O God, I pray that you will keep the soul of my dear______________ united with us in the bond of life. In his/her memory, guide me so that I will live righteously, fulfilling Your will and serving our people. May his/her soul rest in peace and be remembered as a blessing. O God, as I remember, LeRoy Liss I pray that I may emulate all that was good and righteous in his/her life. May his/her soul be given eternal life and his/her memory always remain a comfort and source of inspiration. A link has been broken in the chain that has bound us together, yet strong bonds of home and love hold us each to the other and we give thanks for the blessing of life, of companionship, and of memory.